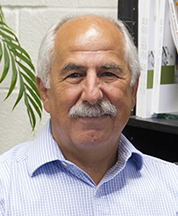 During the 2016-2017 year, the School of Kinesiology is celebrating the 50th Anniversary of its creation as the Department of Physical Education & Athletics back in 1966-1967 as well as the 50th year of the undergraduate academic program, which enrolled its first class of students back in the fall of 1967. Our school is celebrating its 50th Anniversary in 2016-2017. A 50th birthday is a very special occasion to reflect on our accomplishments and celebrate. 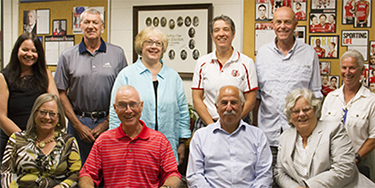 Our faculty, staff and graduates will no doubt remember the very important and special moments in their lives shared within the Department of Physical Education, Recreation and Athletics or the School of Kinesiology and Health Science. In preparing for our anniversary activities, it is clear that our graduates share a strong bond not only among their graduating class but also with other graduates, staff and faculty throughout the past 50 years. Graduates, staff and faculty have all contributed to inspiring a strong sense of pride in our school community. Because of you our School holds a solid reputation with graduates in all walks of life making significant contributions to our society, not just in Toronto and Canada, but also in other parts of the world. To honour and acknowledge the importance that you have had on our school a number of events are planned on campus over the year and we encourage you to participate, if possible. This 50th Anniversary website will provide you with the information and possibility to connect with other graduates, staff and faculty.